In a Nutshell: With the somewhat innocuous official designation of “U.S. Code: Title 26 – Internal Revenue Code,” the American tax code is likely one of the most poorly understood documents in personal finance. Not only does it take extensive time and training to delve into the complicated code, it’s so complex, sometimes even the tax experts need an expert. When they need help, the experts on the front lines at H&R Block‘s 10,000 locations turn to the H&R Block Tax Institute. The Institute’s team of tax professionals have advanced degrees and tons of experience in their specialized fields, making them the perfect people to whittle the complicated tax code down into comprehensible bits. For much of my early working life, I was convinced all of the fuss about taxes was overblown nonsense. I mean, I filed every year, and it wasn’t that difficult. What in the world was everyone complaining about? Of course, when I was a young adult, I had one or two W2’s to file each year — and that about covered it. For some reason, it hadn’t occurred to me (yet) that taxes could become infinitely more complex once you, well, had a life. Now, as I get older and start to obtain important things, like assets and equity, I’ve noticed that tax time has become exponentially more complex. Do I need to itemize? How do I do that? Is that a deduction or an exemption? — Or a credit? And when do I have capital gains? The truth of the matter is, the tax code is complicated, and it often takes an expert, like your local H&R Block preparer, to really understand the ins and outs. Indeed, taxes can be so convoluted that more than half of us rely on someone else when it comes to tax time. “About 60% of the tax filing base has somebody help them do their taxes,” said Gene King, Global Media Relations & Corporate Communications for H&R Block. In fact, the tax code can be so complicated that sometimes even the experts need an expert. That’s where the H&R Block Tax Institute comes into the picture. Becoming a part of the world’s largest consumer tax services provider isn’t easy. Each preparer in your local H&R Block office went through a lot of learning to get there. 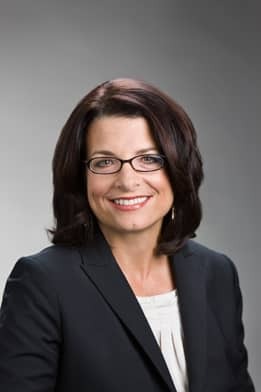 Kathy Pickering is the Executive Director of the Tax Institute at H&R Block. Unfortunately, with a tax code composed of around 3 million words, it can take more than solid training to understand every nuance — like a Tax Institute full of super experts more. The members of the Tax Institute all hold advanced degrees and certifications in their fields, with a mix of CPAs, tax attorneys, MBAs, and more, ready to answer any questions that come their way from the preparers. The method — and response time — of each answer from the institute will depend on the complexity of the question itself. For the simpler queries and clarifications, answers can be nearly instantaneous. “We have the ability to do a direct chat to a tax preparer,” said Kathy. “So, if it’s a simple, straightforward answer, they can get a real-time response.” For more complicated questions, perhaps requiring research into the tax code or case studies, Kathy says a response could take up to two days. 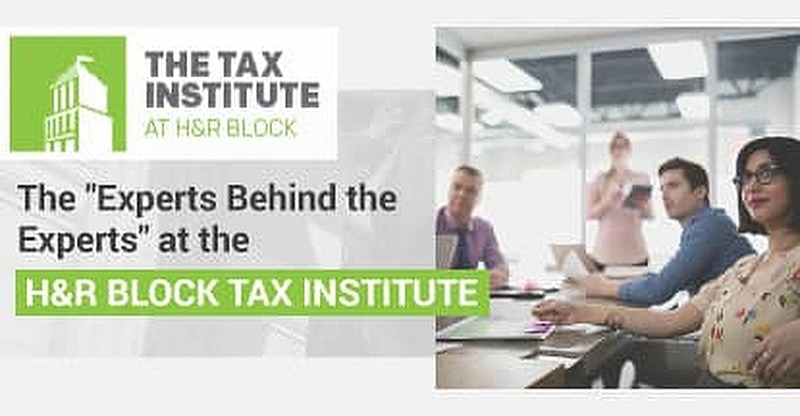 In addition to being the go-to help line for the front line, the Tax Institute uses its unique vantage point within H&R Block to analyze the latest goings-on in the tax world. With a variety of questions coming in from around the country, the Institute has a great position from which to see current trends in the field and pass on the information to the rest of the company. The H&R Block Tax Institute publishes articles on their Insights page breaking down important taxpayer issues. The Institute shares some of its knowledge with the outside world, as well, with their Insights into the tax code and issues affecting taxpayers. The Insights page offers articles covering a variety of topics they think are important for individual and business taxpayers, and their advisors, to understand. In the spirit of one of my favorite sayings, “forewarned is forearmed,” we asked the experts behind the experts for their 2016 tax filing wisdom. They shared some big changes to the tax code this year, as well as a lot of important advice. Every year, I’m one of the many who file as early as possible, hoping to beat the rush and score an early return. Unfortunately, if you’re one of the millions of Americans who use the Earned Income Tax Credit (EITC) or the Additional Child Tax Credit (ACTC), filing early may not be enough to get an early return this year. Because companies are required to submit their forms by the end of January, the forced waiting period will (theoretically) enable the IRS more time to fact-check, and thus (hopefully) reduce the chances of tax fraud. The Affordable Care Act (ACA), the document legislating mandatory health insurance laws, has had mixed responses since it went into effect in 2014, including many calls for it to be struck down by the next president. However, love it or hate it, here-to-stay or soon-to-be-abolished, the ACA is a reality that will impact most 2016 filers. And that penalty isn’t cheap. While the penalty for not having health insurance started small, it has been raised each year since the law went into effect. This year, you can look forward to a whopping $695 or 2.5% of your household income — whichever is higher. According to the Bureau of Justice Statistics, 17.6 million U.S. residents 16 or older were the victims of identity theft in 2014. And, according to Kathy, an increasing number of people every year are specifically falling victim to tax identity theft. Though I don’t think my fledgling portfolio would warrant a call to the Tax Institute for assistance, there’s little doubt that I’ll soon need to join the 55% of filers who seek help with their taxes. Luckily for me, with over 10,000 offices nationwide, I’ll rarely be far from an H&R Block team of experts. “We’re within five miles of most U.S. consumers,” said Kathy.